Samsung Galaxy S6 and Apple iPhone 6 two best smartphone in the market right now, because both smartphone comes with high end processing speed which is unbeatable right now, According to GameBench team iPhone 6 is best device for gaming. The makers of Samsung Galaxy S6 follow 6 rules of business i.e increasing CPU power, RAM, space, screen resolution, size and new Operating System. 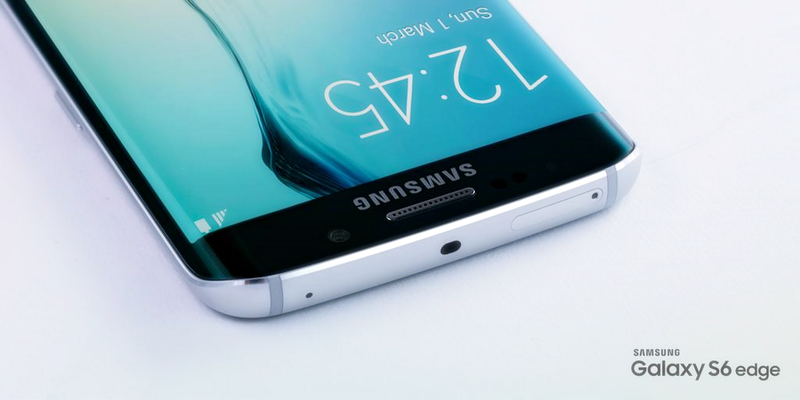 Galaxy S6 Edge is the world`s first dual curved displays smartphone which has straight sides and Edge tapers on its right and left sides, and the curved portion of the screens arc to meet the back. Android OS, version 5.0.2 (Lollipop), 32/64/128 GB built-in Storage with 3 GB RAM, 1.5 GHz Quad-Core Cortex-A53 + 2.1 GHz Quad-Core Cortex-A57, Exynos 7420 GPU: Mali-T760, 5.1 inches screen size with 1440 x 2560 pixels display, Single SIm, 3G and 4G LTE, GPS + A-GPS, Fingerprint sensor (PayPal certified), Samsung Pay (Visa, MasterCard certified), Bluetooth version 4.0 with A2DP, LE, apt-X, USB (microUSB version 2.0 (MHL 3 TV-out), USB Host), WLAN, GPRS, EDGE. 16 Mega-Pixel Rear Camera with 3456 x 4608 pixels, optical image stabilization, auto-focus, LED flash, Geo-tagging, touch focus, face detection, Auto HDR, panorama, Video (2160 pixel @30fps, 1080 pixel @60fps, 720 pixel @120fps, HDR, dual-video rec), 5 Mega-Pixel Front camera with 1080 pixel @30fps, dual video call, Auto HDR.